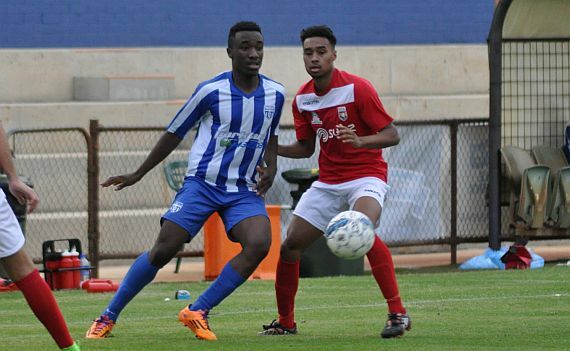 ECU Joondalup under 20’s bounced back from last week’s first loss of the season with a comprehensive 4-0 win against Floreat Athena at the E&D Litis Stadium on Saturday afternoon. They added a second when good combination play starting with the back four, saw Keylun Pollard put in behind the Floreat defence, he crossed for an on-rushing James Owen. Floreat keeper could only punch the ball straight in the air under pressure from Owen and Shakeel Alexander headed in the rebound. It was 3-0 before the break – Sam Pollard picked the ball up on the edge of the penalty box after Floreat failed to clear again, he beat two players to set up Jayden Drummond to stroke the ball into the bottom corner from about 12-yards. Floreat came out strong after the break and keeper Williams Parkes made a number of fine saves to keep them at bay. The return of Sam Pollard was another bonus for the side and he added the fourth late on. Some good defending by Fraser Garnaut saw the Jacks pinch the ball at the halfway line and counter attack. Fraser combined with Jayden Drummond twice to get to the edge of the box, Jayden then played a first time ball with the outside of his foot to Sam Pollard who did well to stay onside and showed good composure to finish well. Coach Mark Scanlan said it was a good response from his players. “We were desperate to make amends for the result against Inglewood last week so I’m very pleased with the response from the boys. This was the strongest side we’ve been able to put together so far this season and there are still a few players to come in so competition for spots is going to be fierce,” he said. Defender Shakeel Alexander said it was good to bounce back from last week’s defeat. “It was a great performance from the boys who showed resilience to come away with the win following a disappointing loss against Inglewood last week,” he said. “It was important for us to forget about the result from last week and continue focusing on our specific goals heading into each fixture. We were switched on from kick-off and managed to score 2 early goals which set the pace for the rest of the game. We controlled most of the game and moved the ball well which troubled the opposition.